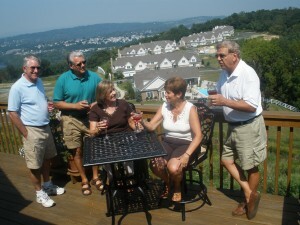 Country Classics Legacy at Morgan Hill is one of the most desirable adult communities in the Lehigh Valley! With so much attention to detail and the gorgeous mountain and river views, you will be proud to call Legacy at Morgan Hill your new home. Convenient to Manhattan, Philadelphia, Poconos and Jersey Shore, Legacy at Morgan Hill is just minutes away from upscale shopping, fine dining and dozens of golf courses. Leave behind those maintenance chores, and start living your life in this relaxed country club atmosphere. Visit us today and discover the ideal home to enjoy the next stage of your life in!